Supernatural drama Bandish is proving to be one of those rare TV serials that keeps the audience hooked even after clocking 17 episodes. It’s not just a superb script, but also extremely unpredictable. 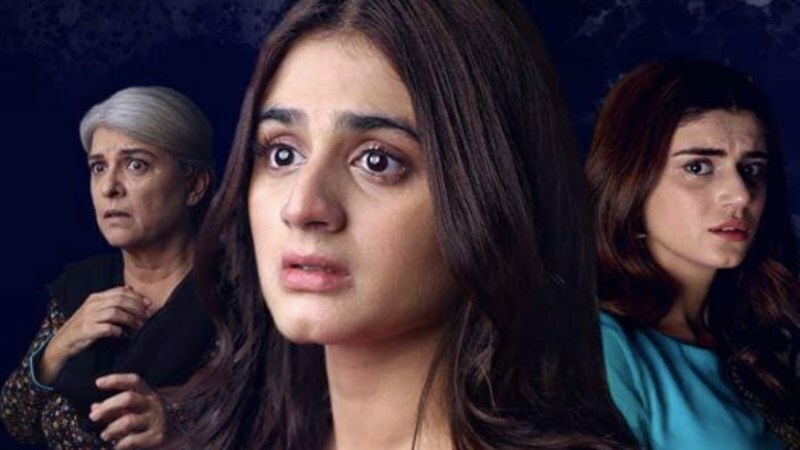 That Sania (Hira Mani) would go to Sumbal (Farah Shah) for help is something I absolutely did not see coming. Nor did I think we would get any background on Dr Abyan's father. Yes, in the end, everything will probably turn out to be fine and Sumbal will get what’s coming to her, but this is a shocking turn of events. Kudos to Syed Nabeel and Shahid Nizami for writing such a script. A lot has happened in the last 10 episodes. 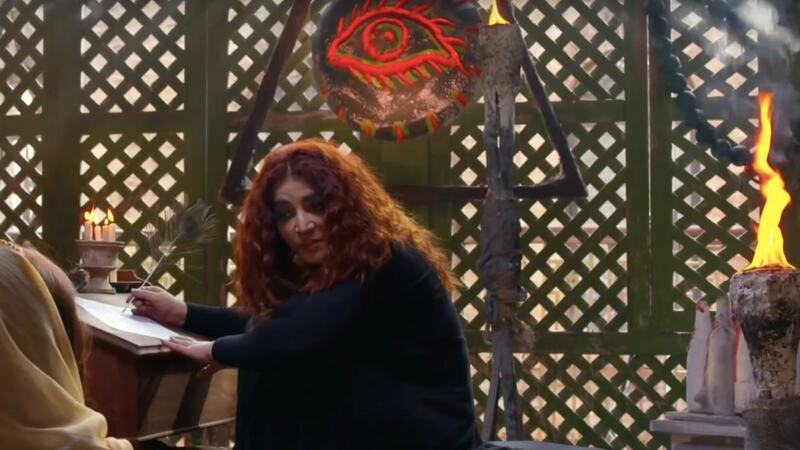 After Madiha's (Marina Khan) family endures a series of misfortunes due to supernatural forces, she confides in black magic practitioner Sumbal and is amazed to discover that she already knows it all. She does everything that Sumbal tells her to do, not realising that she is just making things worse for her family. It’s only when Sumbal gives her a putla to put in a dargah that Madiha realises this is wrong. 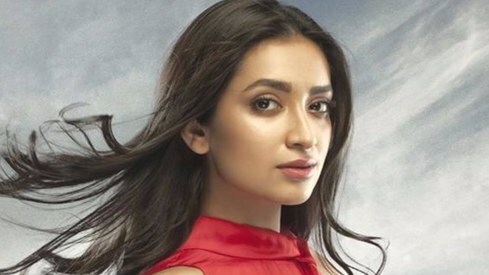 In a flashback scene, we find out that Sumbal had feelings for Madiha's husband Junaid (Sajid Hassan) while they were in college and she was under the impression that he did too. 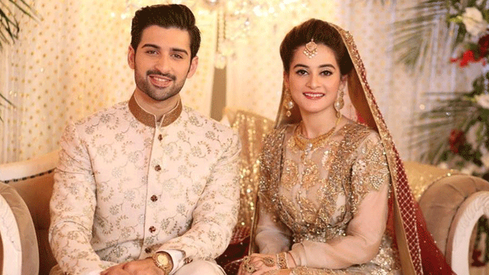 Unfortunately, Junaid was only toying with her emotions and married Madiha instead. What I love about Bandish is that even though it has been written by two men, it is a story of extremely strong women. From Madiha to Majida, no one is portrayed as weak or damsels in distress. Everyone in that flashback scene gave a shockingly bad performance, especially the actor who plays younger Junaid. Plus, they have the timeline all wrong. 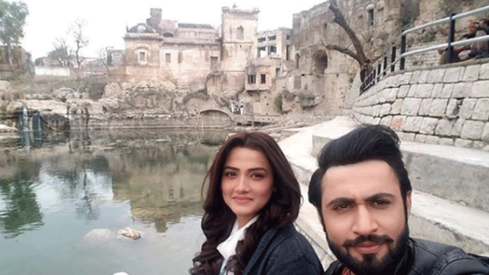 If Madiha and Junaid have been married for 25 years, the flashback scene would have taken place in the '90s era. So why was everyone dressed in bell bottom pants and short shirts? Why did the guys have long hair and fake moustaches like in the '60s, and why was the entire sequence shot in black and white? 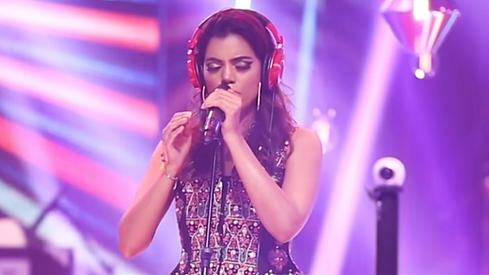 Also, why do young Sumbal and Madiha sound like robots? Was it bad dubbing? The acting of the entire cast was OTT and the track disappointed big-time. Fortunately, it is the only track that has been disappointing in the last 17 episodes so team Bandish gets a pass. 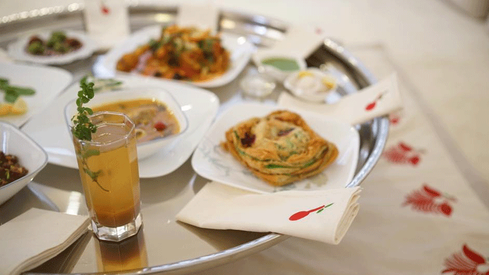 One of the consequences of Sumbal's interventions is that Haania (Zubab Rana) ends up in a coma. Hamza tries to save her, but Sumbal's power is a lot stronger. 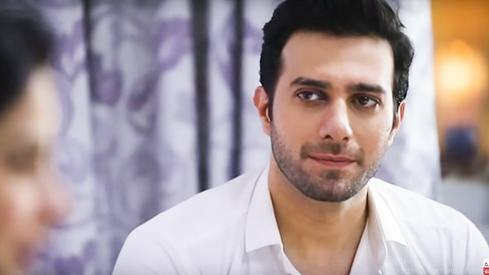 Fahad Sheikh is really growing on me as Hamza. He isn’t the aggressive stalker I thought he was in the beginning. Instead, he is everything Haania needs him to be; understanding, supportive, and caring. 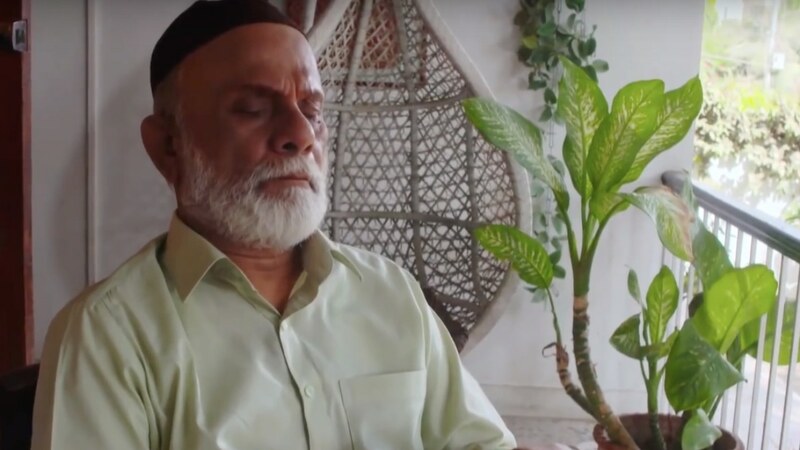 Aabis Raza makes it Bandish a visual thriller by his clever cinematography and editing. That sequence showing Hamza’s incantations and Sumbal’s chants was superbly shot. Another brilliant 15-minute sequence is when Sumbul hides Aleena (Hoorain) in a locked room and has one of her jinns take Madiha's form. Family friend Izhar uncle, who possesses some magic skills of his own, insists Aleena is present in the house and starts his amal to find her while Sumbal does hers to keep Aleena hidden. While it shows the battle between good and evil, it also showed Aleena in a trance; the editing was top notch for these three shots being simultaneously shown. Izhar uncle puts a protective spell on the house and tells them that no evil entity can enter this house without their permission. However, Aleena's already given permission to the jinn in the little girl’s form. 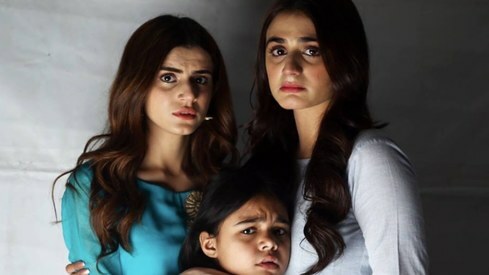 Let me state here again how Hoorain and Tasbeeha are fantastic in their characters. These girls are definitely going places. How these kids can take on such horrific roles is beyond me, but they are brilliant. On the Junaid and Sandal (Zaineb Ahmed) front, they find out that Sandal is expecting, Junaid hires a new maid who finds a taveez under their bed. Sumbal dupes her into believing that Madiha is trying to jinx her unborn baby. Dr. Abyaan is also back in play. 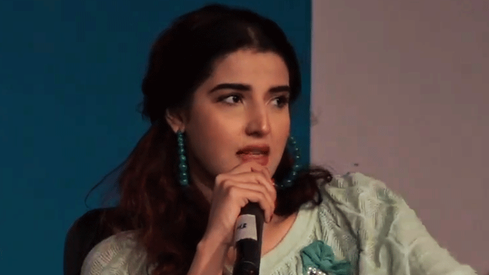 His mother Shumaila apologises to Sania and Madiha and tells them that she genuinely doesn’t remember what she said. I appreciate the fact that this didn’t take up 10 episodes of miscommunication as it would have in any other drama. It was done and over with in one episode. If only other writers could take note! Shumaila goes to discuss the dates for the nikaah and when left alone with Aleena, notices that Aleena is staring at someone. Once the little jinn possess Aleena, she asks Shumaila if she is scared. Also, is she as scared as she was when she killed her husband? Wooh! We find out that Shumaila was abused physically and emotionally by her husband. Obviously, the wedding is off after Aleena’s comment. 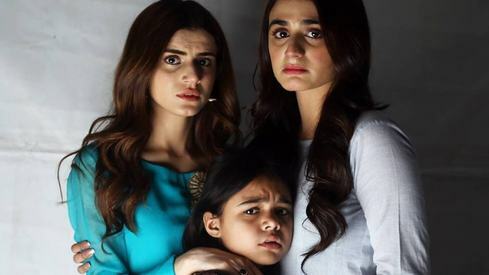 When Sania calls Abyaan she has no clue that she is speaking to that little girl jinn in Abyan’s voice who tells her to go see a “pohnchi hui buzurg” – Sumbal. 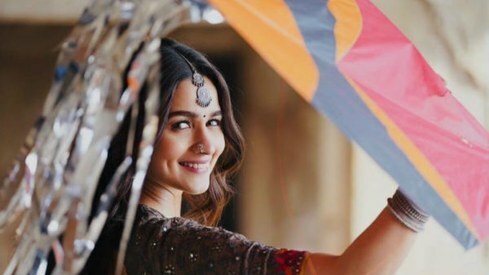 I’ve said this before and I’ll say it again, Aabis Raza does a fabulous job as director. The direction and editing is flawless (with the exception of that black and white sequence). But let’s talk about the script and the writers a little. What I love about Bandish is that even though it has been written by two men, it is a story of extremely strong women. 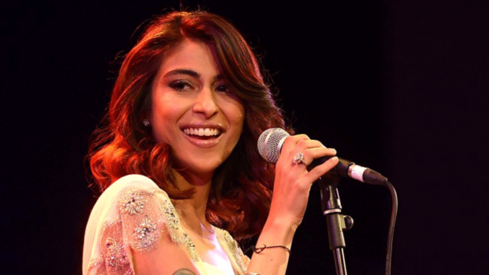 From Madiha to Majida (Hamza’s mother), no one is portrayed as weak or damsels in distress. Madiha’s entire life has been turned upside down, from her husband leaving her and marrying a woman half his age to the supernatural horrors her daughters are going through, but she perseveres through it all. 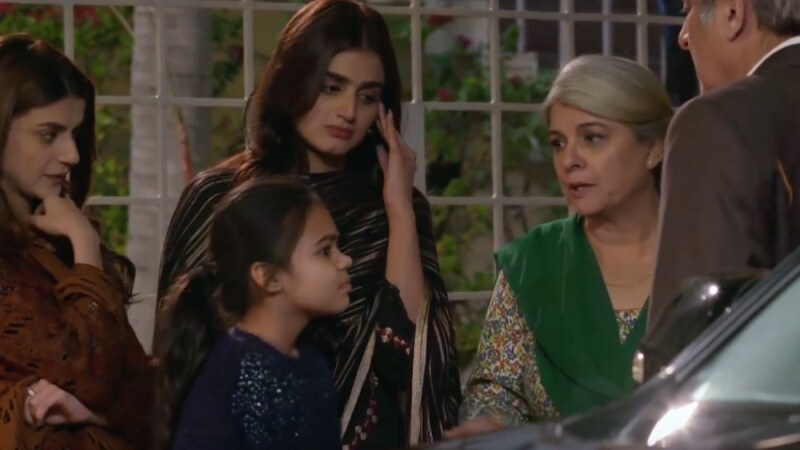 When Shumaila tries to vilify Sania’s character, Madiha doesn’t blame Sania by saying “tumne he kuch kiya hoga.” Rather, she asks her to leave and defends her daughter. She continues without her husband and is always trying to find solutions rather than making herself look like a victim. Farah Shah as Sumbal gives a whole new meaning to the phrase “hell hath no fury like a woman scorned.” No one else could have done justice to this role like she did. Marina Khan is perfection as Madiha. 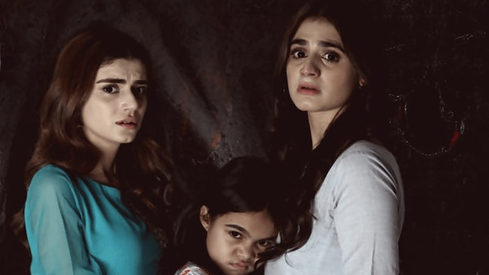 Same goes for Hira Mani and Zubab Rana as Sania and Haania – they fit their characters like a glove. Sania never once begs Abyan when his mother insults her. She says she is done with them until they apologise. 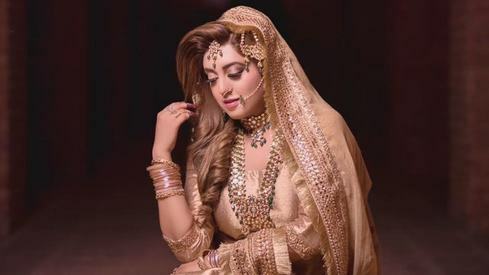 Shumaila is shown to have raised Abyan by herself but she isn’t the possessive mother that most dramas have. She has zero ego issues and apologises for saying things she doesn’t even remember she said because she wants her son to be happy. She is shown to be strong yet kind. Majida’s character is also written that way. She doesn’t wish Madiha or her family ill – she is just concerned for her husband and son’s safety. She voices that concern to her husband rather than sitting quiet. What I really admired about this was that her husband listens to his wife. 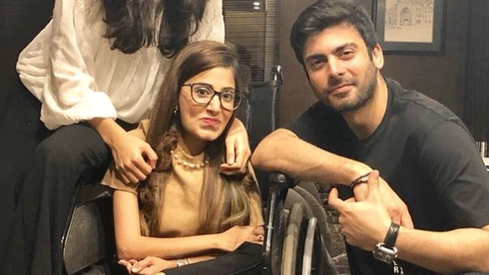 He doesn’t dismiss her concerns; he admits to Hamza that his mother isn’t wrong. He explains to his wife why he needs to help Madiha’s family but doesn’t do so until Majida is on board with it. It's refreshing to see such strong female characters, that too written by men, and I hope this becomes a norm. The writers never degrade these women and all the men are shown to be respectful and supportive. Even in Junaid and Madiha's case, the only reason Junaid betrayed her was because he was under a spell. Big Bang Entertainment gets full credit for such an out-of-the-box serial. It hits home in every way possible, from casting and script to the direction and visual effects. I dont like it. i dont like the portrayal of black magic and how its performed. Its one thing where this is refereed to as an act, but another thing where you are going in lengths explaining how black magic is actually done and displaying satanic figures. I want to watch it but I really can't warm to Hira Mano. I mean if she wasn't in it I would. I hope Pakistani can one day progress to the point where black magic and superstitions are left in the past and more emphasis placed on pragmatism and logic. @VoiceOfReason This drama is a reality because we really faced such horrible events. Khalid Zafar is one of most underrated actor of tv. TBH it has just been prolonged too much now. First 3-4 episodes were extremely frightening , then it went off the boil. These days, all manner of stuff is being peddled and glorified in the name of 'strong female characters'. What is this drama adding to our society? It's a shallow serial authenticating the power of black magic. Thanks to this serial, more women would be going to people practising black magic. Well, at least these peer faqeers would be making some more money now! As a side note, shocked at how someone as progressive as Marina Khan took up this project!